My husband spent the last few weeks fixing up his fish tank. 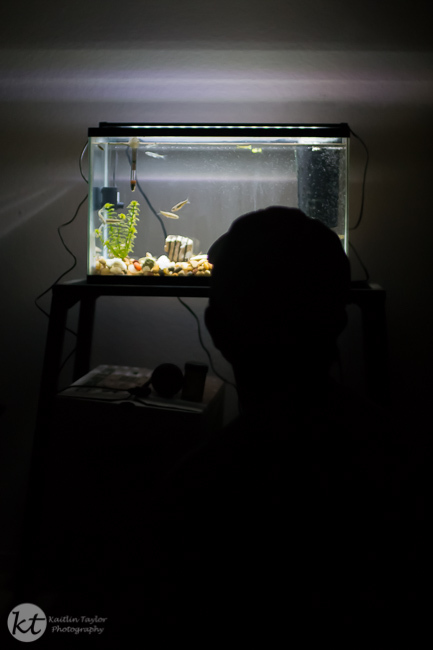 He got a light that goes along with the light outside in the hopes of growing plants in the tank to give his fish shelter. We haven’t gotten the plants yet, but it’s still a fun tank to watch.